For most tall babes, the word “inseam” is all too familiar. Whether it brings up memories of cold ankles in bright dressing rooms or just hours of scrolling through tall women’s clothing online, you know it’s just a fancy – but crucial – way of talking about how long your legs are. As if you needed reminding! Luckily, with Alloy Apparel, it doesn’t have to be an unhappy word. We believe that with a little knowledge about how pants length actually works, as well as your own (gorgeous!) body, you can make sure your pants are always doing the most for you. Below, we’ll walk you through everything you need to know about your pants’ length, from what a long inseam is to how to measure your own! For pants sized using a number system anywhere from around 0 to 24, that little number on the tag doesn’t necessarily reflect everything there is to know about measuring pants size. Your “true” size depends on your waist measurement, your hip measurement, and your inseam – that is, the length of your leg from the top of your inner thigh to the bottom of your ankle, where the inner seam of your pants would line up. As most tall ladies unfortunately know, most pants and jeans are made with one standard length (around 31” to 31.5”). Obviously, Alloy babes are not here for that one-size-fits-all business. When you have to worry about killing it at work, chilling with your friends, hitting the gym, date night, and everything in between, you need reliable pants and jeans that show off exactly how gorgeous you are. Knowing your actual measurements (rather than some arbitrary number on a tag) can make your life so much easier. What is a Long Inseam? While you can be somewhat flexible when it comes to style (i.e., cropped styles require shorter lengths), it’s natural to want to know a good ballpark range for what a long inseam actually is. Many styles marketed as “tall” start at around 34” to 35” for women. At Alloy Apparel, we offer inseams all the way up to 39”. Knowing your inseam measurement makes shopping for pants (especially online) a breeze, because you can just use size guides to compare your numbers. Don’t worry – it’s easy. Just grab a tape measure and possibly a helpful friend. You can measure your inseam in two ways: by measuring the length of your actual leg or measuring a pair of pants you know fits you well. To measure your leg, hold one end of the tape measure against the top of your inner thigh, then record the number shown when the tape measure hits the floor or bottom of your ankle. Take into consideration your preferred pants length and style: if you like to wear a lot of cropped pants, for example, you’ll want a shorter inseam, whereas if you love long wide-legged pants, you can go all the way to the floor. 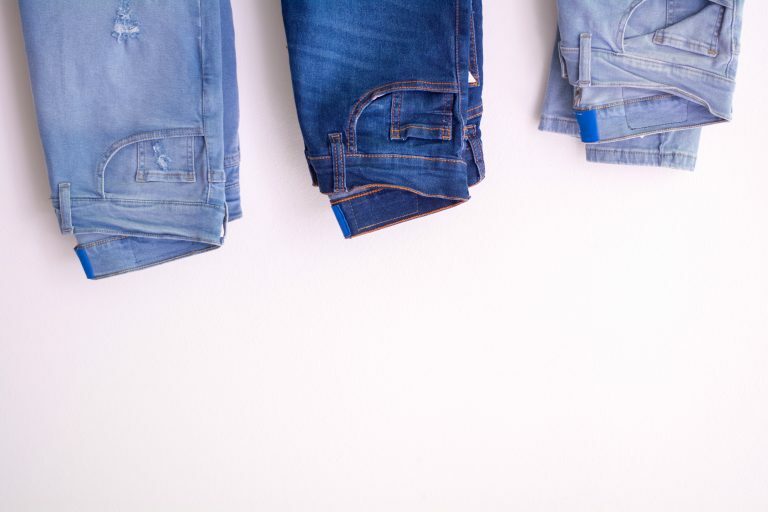 If that’s too hard, no problem – just fish out your best-fitting pair of pants or jeans and lay them flat on the floor, making sure they’re fully zipped and that the front and back waistbands are lined up. Then just measure along the inside seam, and voila! Women’s sizing has never been easy, and that’s doubly true for tall and curvy ladies. If you’ve been scarred by too many “regular” fit jeans that are just way too short, you’re not alone! The good news is, with Alloy Apparel’s 32”-39” inseams, we’ve got tall (and gorgeous!) covered so you never have to live the cold-ankles life again.